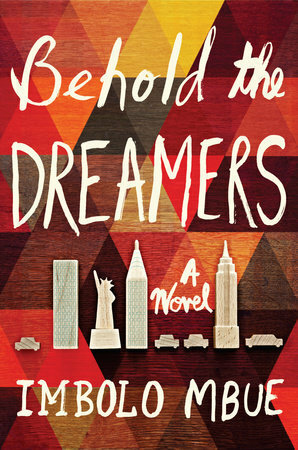 Behold the Dreamers follows the experience of Cameroonian immigrants, Jende and his wife Neni, as they tell their tale of living in the land of opportunity. The couple live in New York and are barely making ends meet when a big opportunity allows the family to really start living the American Dream. Jende obtains a job working as a chauffeur for Clark Edwards, a well-off wall street businessman and his family. While working for the Edwards family, the two families begin to form a trusting relationship. All appears to be going well for all until the economic crisis breaks Clark family’s facade of stability and wealth. With the demise of Clark’s company, Clark’s marriage begins to break from the strain of not being able to keep up appearances. Jende’s marriage also begins to bend from the pressure because Jende’s job is in jeopardy. In the end, Jende realizes the stress isn’t worth it; working multiple jobs just to keep the lights on isn’t the way to live. Being trapped in an endless cycle, like a hamster running on its wheel, only adds unnecessary stress. That is not living the American Dream. I will admit that it took me a long while to like this book. The first half of the book was slow and tedious, and I could not connect with the characters at all. However, and I do mean, HOWEVER, the book picked up about half-way through, and honey, let me tell you, it picked up! For those of you reading and wondering, what the hell?, please, keep reading. I promise after a while, you won’t want to put this down. I think this book of immigration, the haves and the have nots, race, and class is highly relevant today. I received an advanced copy from NetGalley to read and review.